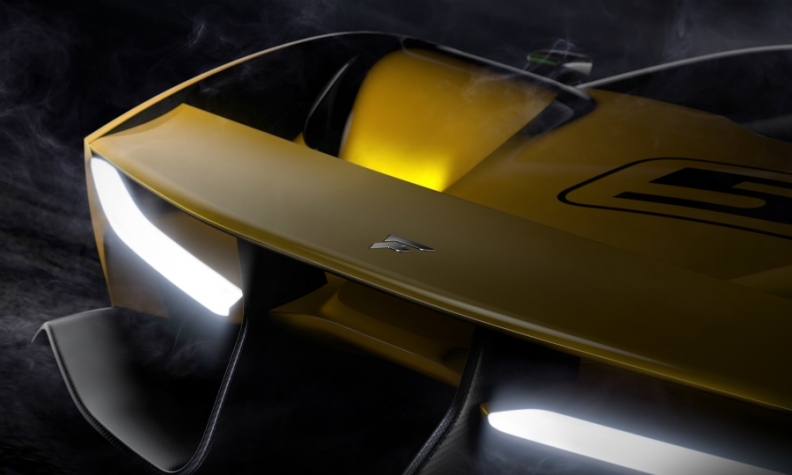 Fittipaldi released this image of the EF7 Vision Gran Turismo ahead of the Geneva show. A new sports-car company fronted by the Brazilian racing driver Emerson Fittipaldi will debut its first production model at the upcoming Geneva auto show. The Fittipaldi EF7 Vision Gran Turismo is the "first of a series of cars" from the new company, the model's designer, Pininfarina, said in a statement. The track-focused car is "ready to be built," a Pininfarina spokesman said. Fittipaldi Motors is planning a limited run, he said. The EF7's body and monocoque chassis are built from carbon fiber. This gives it a "unique advantage on track" in terms of speed and safety, Pininfarina said. The two-seater will weigh about 1,000kg, with power supplied by a V-8 normally aspirated engine making over 600hp. The car was developed in partnership with German race and performance car specialist, HWA. The company builds AMG racecars for Mercedes' performance arm and was started by Hans Werner Aufrech, who also co-founded AMG. In a statement, Fittipaldi said: "What was important to me in creating the EF7 is that the car not only provides pure passion and adrenaline but will also be forgiving and safe for drivers of all skill levels." Fittipaldi won the Formula 1 drivers' championship in 1972 driving a Lotus, but his career faded after switching to his brother's team, which he later went on to manage. He returned to driving in the 1980s and won championship titles in the American Champ Car series. Fittipaldi Motors uses the tag-line "A champion’s dream, German engineering and Italian design."